One thing that’s puzzled us a bit over the last couple of decades in Thailand has been the unceasing construction of new temples. Don’t get us wrong – we love temples and what they represent – but many times we gaze in reverence at a beautiful new structure but then turn around to see the skeleton of a once-grand temple, now ignored, sitting sadly in the background. It’s endemic of the bigger, better, faster mentality that so often guides our lives, but a new directive from the Tourism Authority of Thailand (TAT) has piqued our interest and got us excited for the old again. Perhaps as a reaction to steadily (indeed, almost unstoppably) increasing numbers of tourists coming to Thailand, the TAT is pushing a new campaign called “Amazing Thailand Go Local” that aims to better balance the tourist numbers by promoting the many secondary destinations around the country. Despite the somewhat clumsy name of the campaign, we think it’s a great idea that falls right in line with what Smiling Albino has been doing since we started showing people around Southeast Asia. The TAT has their own list with a lot of great locations, but we wanted to speak a bit about some of our favorite ‘off-brand’ secondary destinations. For a long time we’ve been singing the praises of Thonburi, which was the capital of Siam before Bangkok – on the other side of the Chao Phraya River – was even a thought. This fascinating little backwater has great food, magnificent temples, and long-forgotten alleys and narrow canals that we explore by bicycle, foot, and boat. In fact, the differences between Thonburi and Bangkok sums up the whole ‘secondary destinations’ theme perfectly: it’s close, but far enough away that it’s unique, offers many of the same or similar attractions, and isn’t thronged with tourists. Another example of the wealth of locations that have been left behind for other, shinier attractions is in Chiang Mai. Wat Umong is a gorgeous 13th-century forest temple with lovely grounds, amazing architecture, and original wall paintings that have been well preserved due to their location in a protected cave. But it hogs the spotlight and can get crowded. 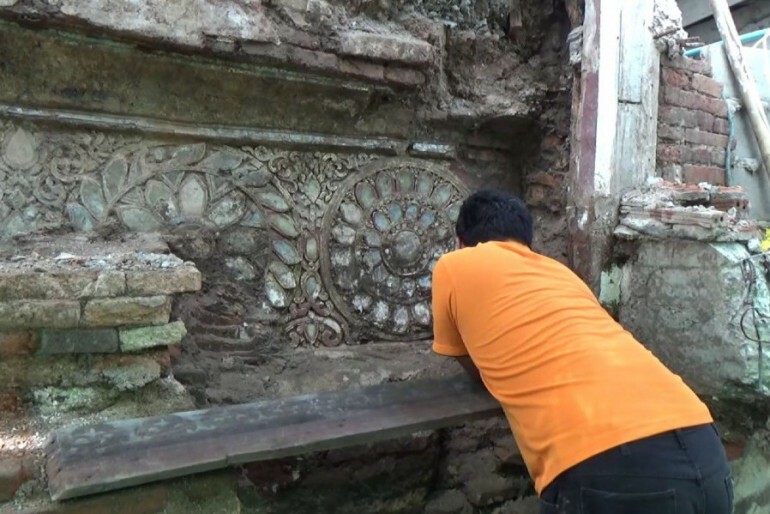 However, a few years ago, an abandoned 15th-century temple was rediscovered nearby during renovations of Wat Yan Guang. The Thai Fine Arts Department is currently restoring it, and speculates that it was used as a resting place by King Mengrai, the legendary founder of Chiang Mai and ruler of the Lanna Kingdom, during his travels. This makes for an excellent alternative destination to take our guests. It lacks the crowds but not the historical significance. Indeed, as the renovation is ongoing, you might even be among the first to see a newly-uncovered piece of art or religious item from 500 years ago. That’s just the kind of thing that only happens when you rediscover the old.